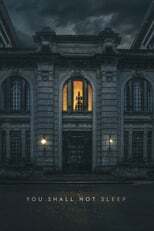 List of the latest paranormal movies in 2019 and the best paranormal movies of 2018 & the 2010's. Top paranormal movies to watch on Netflix, Hulu, Amazon Prime & other Streaming services, out on DVD/Blu-ray or in cinema's right now. 2018, 2017 and the 2010's best rated paranormal movies out on DVD, Bluray or streaming on VOD (Netflix, Amazon Prime, Hulu & More). The enormous success of the ‘Paranormal Activity’ series proved audiences are still not bored with mysterious, evil entities and everything paranormal.